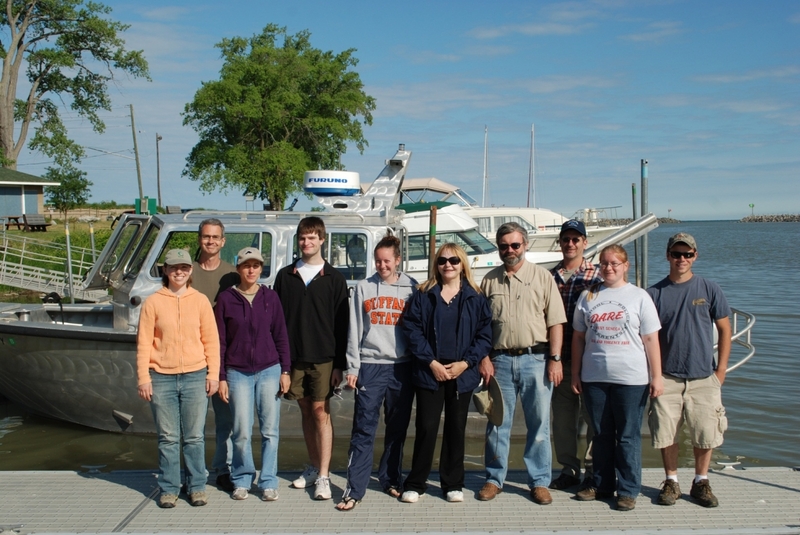 The Great Lakes Center is an institute of researchers and educators at SUNY Buffalo State dedicated to investigating the ecology of the Great Lakes and their tributaries. Many of our staff are full time research scientists or technicians while two are also professors with the Biology department. In addition to lab facilities on the main campus, the GLC also has a field station on the waterfront and a fleet of boats to conduct our field studies. The center offers Master of Arts and Master of Science degrees in Great Lakes Environmental Science. The Great Lakes Center's mission is to improve the quality of the environment by providing the best possible science to decision-makers concerned with the health and sustainability of resources, with a primary focus within the Great Lakes and their watersheds. This is accomplished through high quality research, informed and current graduate and undergraduate education, and dissemination of information to the public through outreach. The center is committed to improving human-environment interactions in the Great Lakes ecosystem guided, in part, by an understanding of the evolutionary and ecological processes and patterns acting on the system. Although the main focus of the research in the Great Lakes Center concentrates on the Great Lakes basin, national and international projects are also considered of high priority as they expose our scientists to the cutting edge of modern science, facilitate collaboration, and greatly increase visibility to the center's activity in the scientific community. The Great Lakes are the largest system of accessible freshwater on Earth: these inland seas are bounded by eight states and one province and contain about 20 percent of the world's supply of fresh water. Over 30 million people live within the watershed, including more than one-tenth of the U.S. population and one-quarter of the Canadian population. It's easy to see just how many people depend on the Great Lakes for drinking water, agriculture, transportation, industry, power generation, fisheries, and recreation. 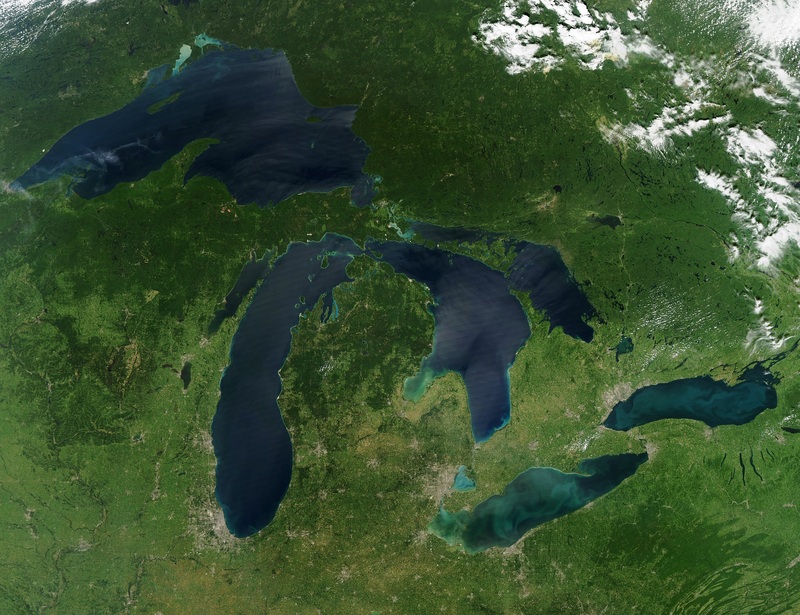 Though incredibly vast, the Great Lakes are threatened by decades of hard use. Lake Erie in particular is densely populated, heavily industrialized, and heavily cultivated for agriculture. Toxic chemicals and nutrients accumulated over time from direct disposal, runoff, and atmospheric deposition are still within the basins of these lakes. This is partially due to their incredibly slow outflow rate as well as the large input of pollutants, especially nutrients from agricultural and municipal runoff. Other stressors to the Great Lakes are aquatic invasive species and habitat degradation. Continued urbanization reduces habitat refuges for native species, while increased international shipping can increase the risk of the invasion of non-native species. Buffalo, New York, is one of 17 large city regions on the Great Lakes. The Great Lakes Center at Buffalo State is in a unique position to provide high-quality research and education opportunities to people who are living on and being impacted by Lake Erie and Lake Ontario. The center has a research facility located on the waterfront, a fleet of boats, and field equipment that it can use to help answer questions about the ecological processes and patterns acting on the system. This is a prime site for students who wish to study how humans both create and resolve ecosystem-scale problems, especially those related to freshwater systems.